Should you call the police after a car accident? If you are injured in a car accident, you absolutely should call the police to come to the scene of the crime. Many people believe that they don’t have to call the police and they shouldn’t call the police because it will take too long for them to get there and the other person seems like a nice person. While most people are good and honest people, some people will try anything they can to get out of owing something to someone, including a car accident that will go on their record, a ticket, and increased rates. They may try to lie about how the car accident happened or lie about their name and insurance information. Police will not stand for this and get the correct information for you. If you do not call the police to the scene of a car accident, you are setting yourself up for a he said she said battle. This can end badly for you if you are injured in a car accident but there were no other witnesses and they create a story that sounds good, especially if you rear ended them or it was a T-bone type car accident. Generally, when someone rear ends another person, they are at fault for the car accident and subsequent injuries that are caused. However, there are situations where someone pulled out in front of them or merged into their lane that caused a rear end car accident. These situations need witnesses to prove who caused the car accident. Calling the police to the scene of a car accident is in your best interest if the other person caused the car accident. 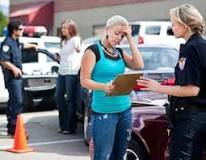 Police can document the scene of the car accident, take down witness reports, and take down insurance information for each party. The other person will not run when they hear the police are being called and you have their license plate number. Saying that you are calling the police to the person that caused the car accident creates a need for them to stay at the scene. This is because if they try to flea the scene, they could be charged with a felony for hit and running, depending on the damage that they caused. Getting witness statements and phone numbers is vital to any car accident injury case. Without independent witnesses, those people not related to you or friends of yours, you will have a battle of he said she said, even when police come to the scene. It is very important that at the very least, you flag down the person driving near you to get their phone number. You may never have to use it but their information can be vital to prove what really happened in a car accident.